Not every band can say they got back up after being knocked down. After a founding member steps away, it’s hard to imagine how to keep going. Fortunately, Blonde Roses found their way. Originally named The Wooden Wings, this Louisiana-based rock ‘n’ roll outfit shed their former name and sound to better represent the next chapter in their careers. This chapter involves their latest release, Hell or High Water. The theme was apparent after the record was finished and really helped the band hone in on the sound and style they wanted. It’s a record that represents where their lives were at the time both personally and professionally. It’s a record that represents them finding themselves as a band and as musicians. It’s a record that makes sense to them. 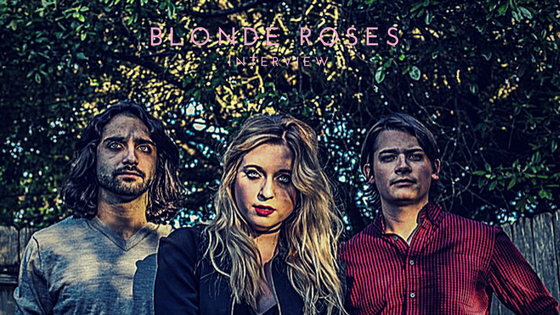 This past year has really tested Blonde Roses in terms of working together. Undeterred by the events that essentially ended The Wooden Wings, these best friends persevered – Through collaboration and positivity; through hell or high water.